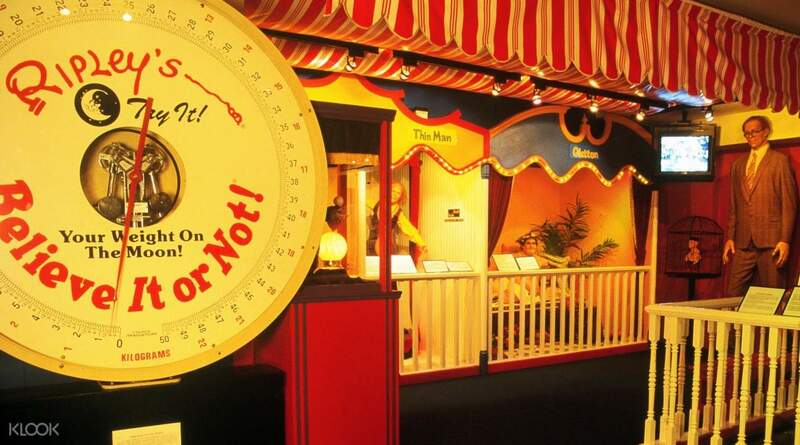 Take your pick of attractions including the Ripley's Believe It or Not! Museum, a haunted house and more! This is a must-go place in Pattaya. I had taken all 7 activities and most of them are worth it. Do not miss "Haunted Adventure". It literally made me sweat in fear. Infinity maze and 9D movie was also amazing. And Ripley's oddotorium was worth seeing. I found laser maze and screaming in the dark amateur but still enjoyed it Got tickets instantly without any hastle. And the price which I got at klook was less than what was price at the desk. so it was a win win situation for me ! This is a must-go place in Pattaya. I had taken all 7 activities and most of them are worth it. Do not miss "Haunted Adventure". It literally made me sweat in fear. Infinity maze and 9D movie was also amazing. And Ripley's oddotorium was worth seeing. I found laser maze and screaming in the dark amateur but still enjoyed it Got tickets instantly without any hastle. And the price which I got at klook was less than what was price at the desk. so it was a win win situation for me ! We went on Halloween day, and they had a special offer running where entry tickets were cheaper than the price we paid to book on Klook. Do visit the Haunted House, it was the best among the rest. Infinity Maze was good too. Klook voucher was easy to redeem from the ticket counter. We went on Halloween day, and they had a special offer running where entry tickets were cheaper than the price we paid to book on Klook. Do visit the Haunted House, it was the best among the rest. Infinity Maze was good too. Klook voucher was easy to redeem from the ticket counter. 12D experience is the best albeit a bit too short. Wax statues are not great quality. Haunted adventure is OK but sometimes the characters are overly aggressive which might frighten off kids from joining. Infinity Maze definitely needs prior training and motivation otherwise some people might get panicked and may even pass out if they don't seem to find way out. I think it needs a panick attack emergency help available just in case one needs so because it's way too daunting. 12D experience is the best albeit a bit too short. Wax statues are not great quality. Haunted adventure is OK but sometimes the characters are overly aggressive which might frighten off kids from joining. Infinity Maze definitely needs prior training and motivation otherwise some people might get panicked and may even pass out if they don't seem to find way out. I think it needs a panick attack emergency help available just in case one needs so because it's way too daunting. Good experience. comparatively very low costs when we compare directly with the prices at the counter. I would strongly recommend to go with klook to save your money and time. Good experience. enjoyed a lot. Good experience. comparatively very low costs when we compare directly with the prices at the counter. I would strongly recommend to go with klook to save your money and time. Good experience. enjoyed a lot. Very easy to buy and redeem tickets, although you have to decide on which attractions you want to go to upfront. 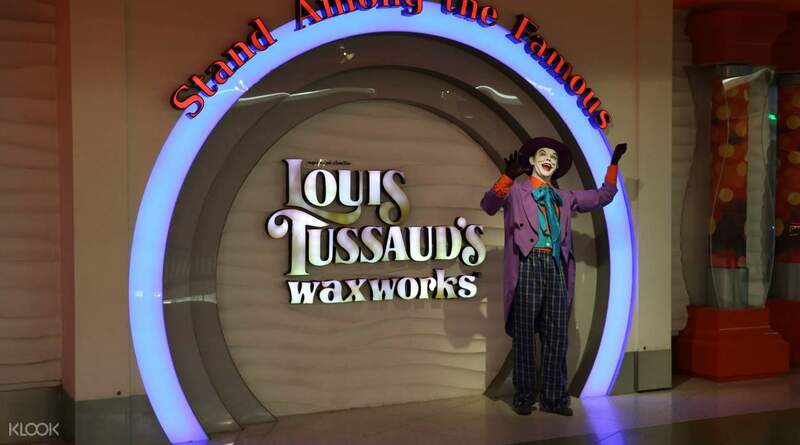 We went to the Ripley's Odditorium, Haunted Adventure and Louis Tussaud's. All of them were fun in their own ways, definitely recommend for all ages. Very easy to buy and redeem tickets, although you have to decide on which attractions you want to go to upfront. 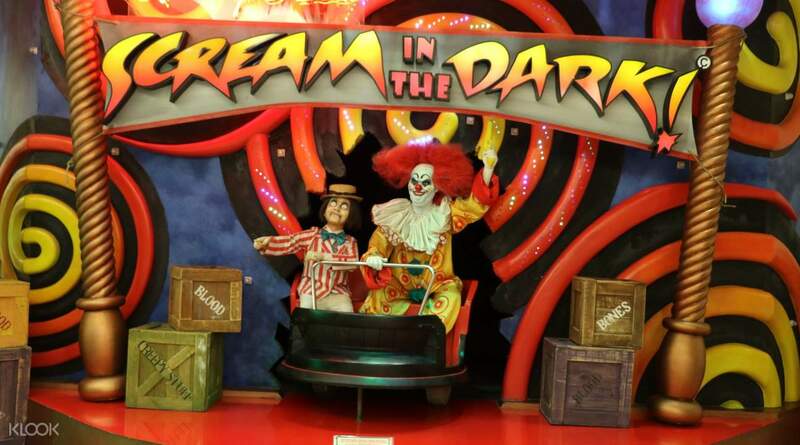 We went to the Ripley's Odditorium, Haunted Adventure and Louis Tussaud's. All of them were fun in their own ways, definitely recommend for all ages. Visited this incredible place and had a good time! Seven absolutely different locations which will be fascinating for children and adults. 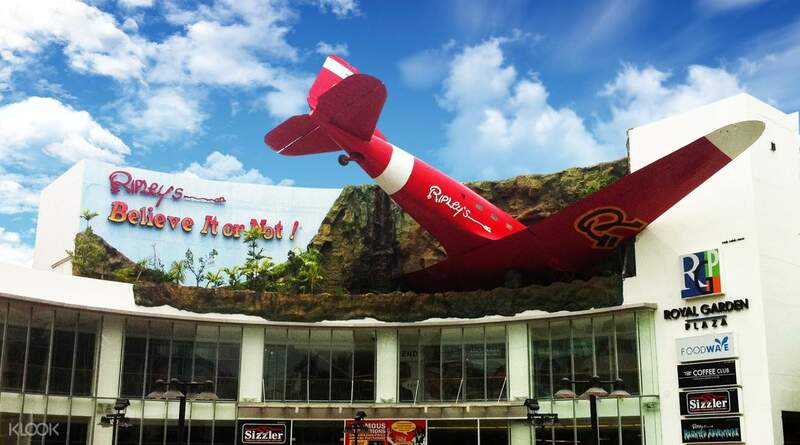 As for me, Ripley’s museum and haunted adventure are the best:) children will really like 9D cartoon. bought tickets online on Klook, the price is MUCH LOWER than in the ticket office. Enjoy! Visited this incredible place and had a good time! Seven absolutely different locations which will be fascinating for children and adults. As for me, Ripley’s museum and haunted adventure are the best:) children will really like 9D cartoon. bought tickets online on Klook, the price is MUCH LOWER than in the ticket office. Enjoy! We bought the ticket for 7 attractions and it is all worth it. We spent almost half a day here, spending around 30 minutes for each attraction. We bought the ticket for 7 attractions and it is all worth it. We spent almost half a day here, spending around 30 minutes for each attraction.